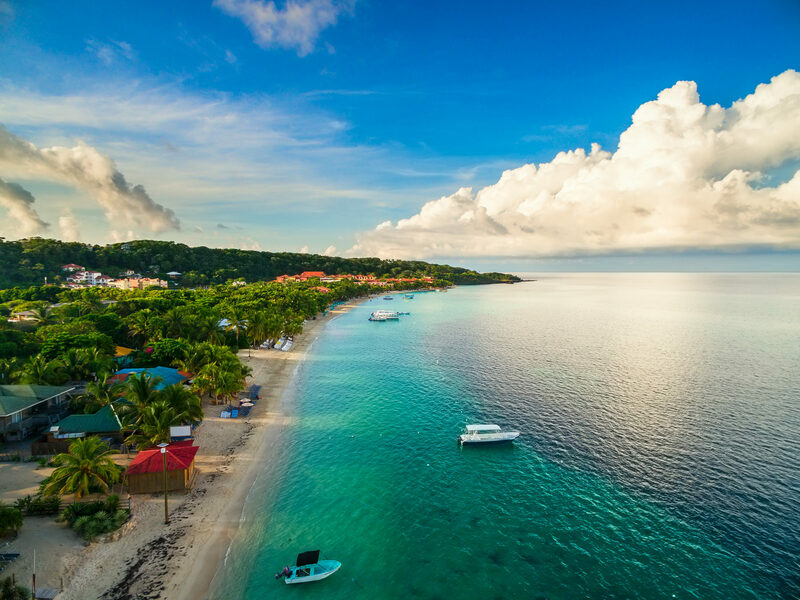 Roatan, is the largest of the Bay Islands of Honduras, this hilly island is known for its friendly people, beautiful beaches and pristine coral reefs in it's surrounding Caribbean waters. Sherman Arch's Iguana Farm is one of the treasures in Roatan, its home to over 2,700 iguanas. 40 acres of natural beauty is showcased in Carambola Botanical Gardens offering jungle trails where you can splendour at the spectacular flora and fauna to the island. This beachfront park located in West Bay offers water activities and relaxing beach, also diverse attractions in over 20 lovely acres. Discover this marine resort which offers a perfect blend of adventure and tranquility and the opportunity to interact with dolphins. Watch a traditional ancestral dance being performed by descendants of the Black Carib Indians, in their native costumes. Roatan's charming streets are alive with cafes, and souvenir shops selling unique gift items.